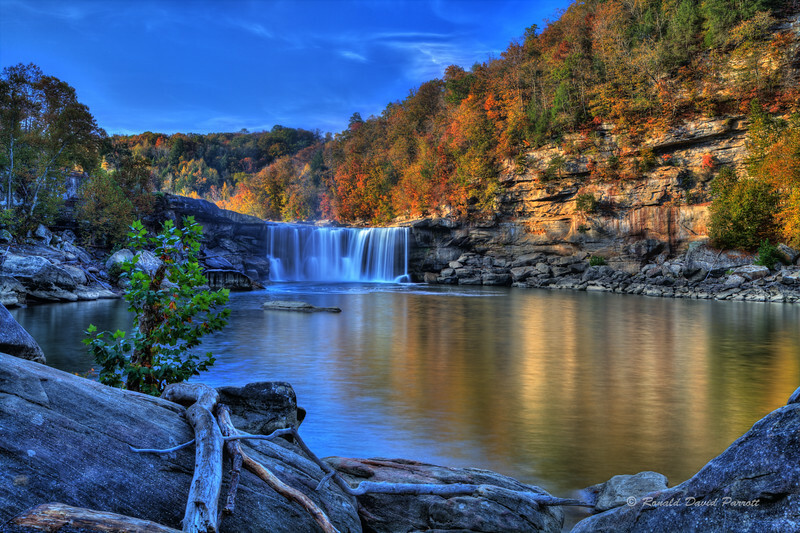 This is Cumberland Falls at Cumberland Falls State Park near Corbin, Kentucky. This view was captured at 35mm. Objects here appear at the same distance as they would to the unaided human eye. One of the following images shows a wide angle (24mm) version of this same scene.